Good sleep is critical for good health. But, you can’t have a proper rejuvenating sleep without the right bedding. Your bed, sheets, blankets, quilts, pillows and pillow cases all play a role in regulating your temperature and helping you get the perfect night’s sleep. You might be surprised at how important the type of fabric used in your bedding can be. Natural fabrics, such as wool, cotton or silk are often the best choice. 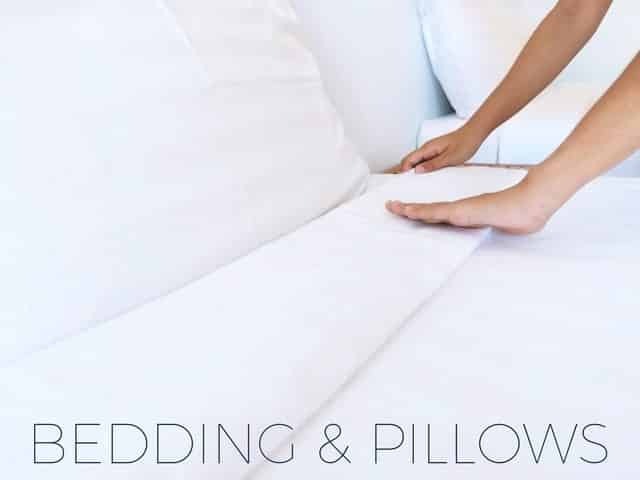 If you are wondering how to wash and maintain your bedding check out this article. Pillows are often overlooked, but having the right pillow for you is vital for a good night’s sleep. Pillow innovation has come a long way in the last few years. There are so many new and different concepts on the market that you are sure to find something that suits you. Specialty pillows include; pillows for snorers, pillows for CPAP users, pillows to relieve neck pain and even full body pillows. This category also includes weighted blankets, which are known to reduce anxiety and aid in relaxation. The companies listed on this page offer manchester that enhances your sleeping experience, and will ship to anywhere in Australia. Don’t forget to check out our guide to shopping online for sleep products. The products section on this page showcases some of the best bedding we have found. These get changed regularly so remember to check back to see new and exciting products.